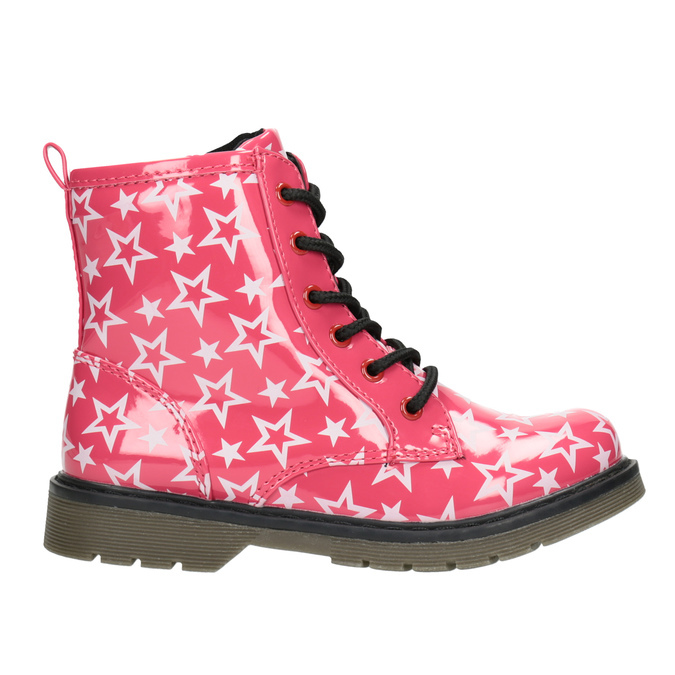 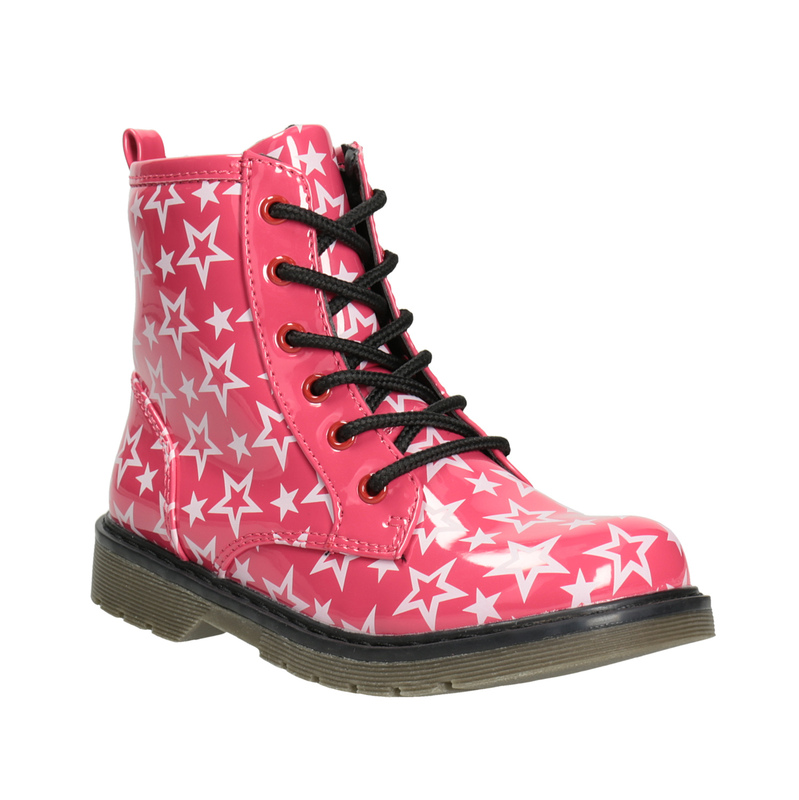 These girls’ pink lace-up boots are cut above the ankle, and the zip on the inner side makes them easy to put on. 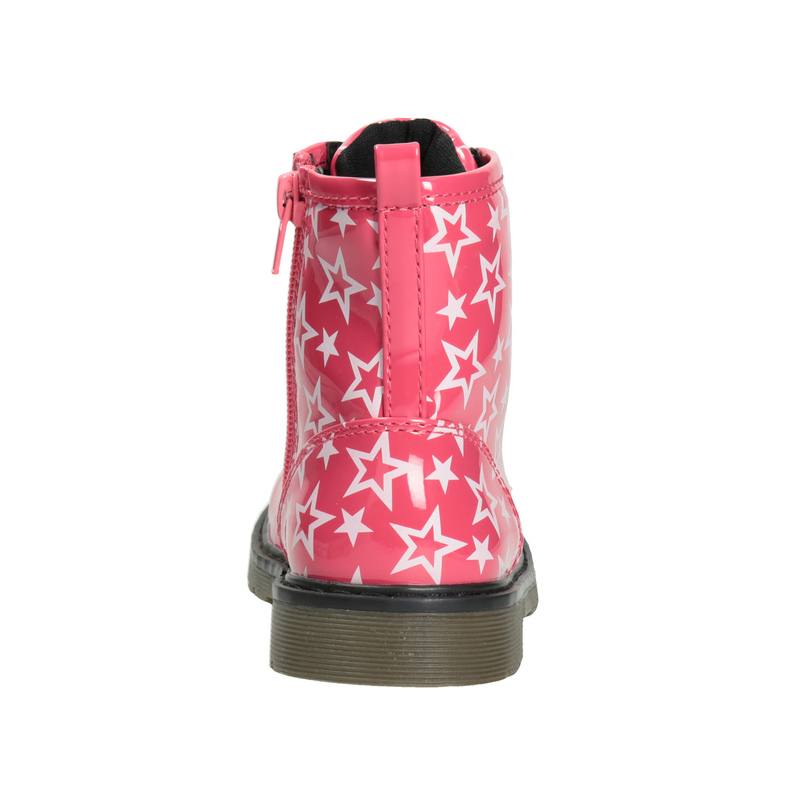 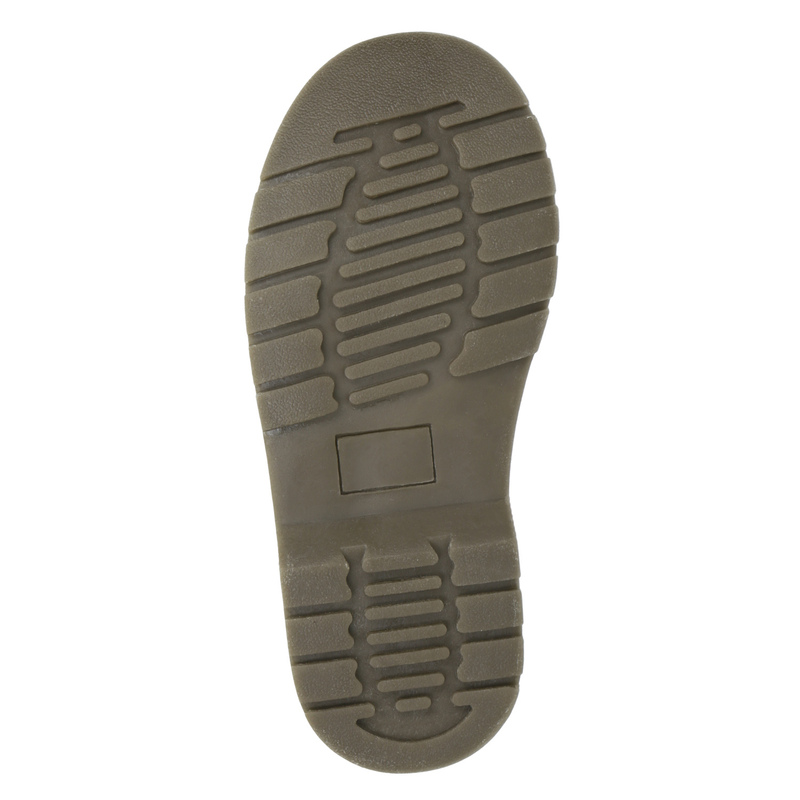 The glossy upper is decorated with white stars, and the overall rock-and-roll look is accentuated by the thick sole. There is a warm lining inside, making them ideal for colder days.